The saying goes that you choose your friends, but you don't choose your family. Isn't it good when it works out that you can be related and be friends. 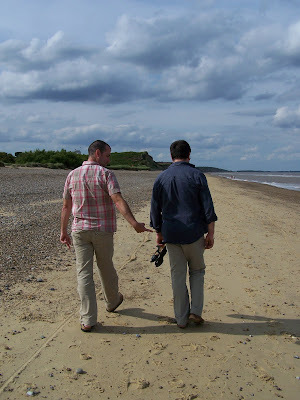 The photo is of my husband and his brother walking on the beach in Suffolk. And the song speaks for itself. This is how it has worked out in my family for the most part.